THE PENTAGON – The Navy’s next surface force may rely more on highly capable frigates and therefore need fewer large combatants – a notion that is changing how the Navy looks at its requirement for a future large surface combatant, the director of surface warfare told USNI News. The Navy will begin talks with industry this week on the large combatant within its Future Surface Combatant family of systems, Rear Adm. Ron Boxall (OPNAV N96) told USNI News in a Jan. 10 interview. After about six months of internal Navy talks between the requirements, acquisition and engineering teams, some things are known, Boxall said: The ship will likely be larger than today’s destroyers, and therefore more expensive. 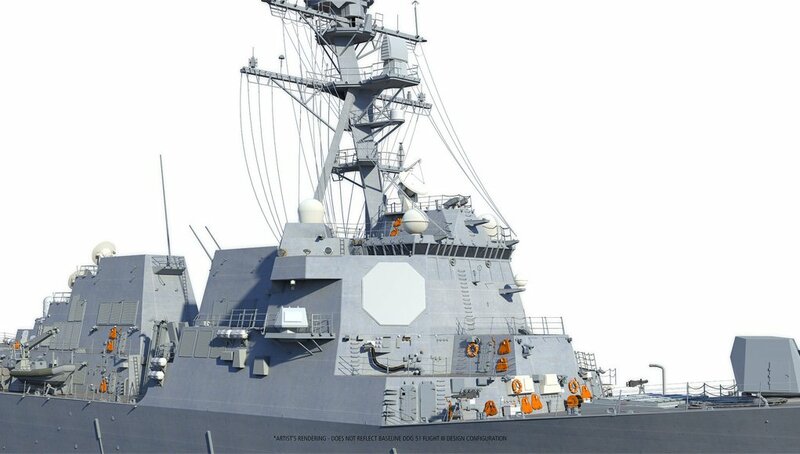 With increased space, weight, power and cooling, it will have the margin available for a larger radar if the Navy were to choose to scale up its AN/SPY-6(V) Air and Missile Defense Radar in the future. It will have not only Vertical Launch System (VLS) cells but also space for a future long-range missile that would be larger than VLS. And it will have the command and control capability and the space for an air warfare or other domain warfare commander to embark his or her staff on the ship. But beyond that, the Navy is considering how to share required surface warfare capabilities across large, small and unmanned surface combatants – and the fact that the ongoing guided-missile frigate competition is yielding better results than expected is changing the conversation about the future large surface combatant. “We shouldn’t look at ship to ship; we should look at the force. And I would argue that I think we can get more bang for the buck out of our force out of these lethal small frigates I’m very excited about,” Boxall said. The Navy will not select a final design for its frigate until Fiscal Year 2020, but Boxall said the current state of the competition is very promising, which allows more trade space when it comes to the large and the unmanned surface ships that are entering industry talks this week. Navy shipbuilding plans show the service will buy its first future large surface combatant in 2023, though Boxall said that could move to 2024. Still, on such a tight timeline, some have speculated the Navy would have to use the Flight III Arleigh Burke-class destroyer design and make modest modifications. First of all, he said, the future surface combatant will not be called a destroyer. The admiral wants to get away from viewing the future ship as a one-for-one replacement for today’s Arleigh Burke class, and the narrative of “large surface combatant” and “small surface combatant” forces the Navy to think about designing and operating the two in tandem. 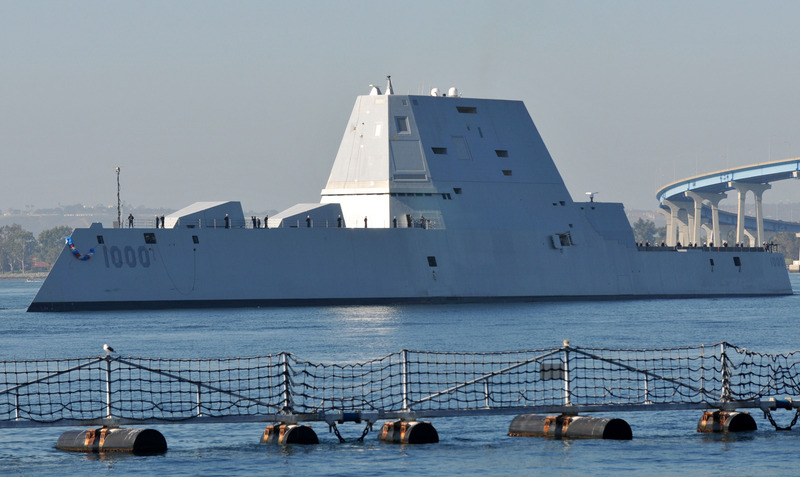 Second, he said, Chief of Naval Operations Adm. John Richardson has demanded flexibility and adaptability from the future large surface combatant, and the Flight III design cannot deliver. “If you look at Flight III, fundamentally its inability to be upgraded in short timelines, then I think we’ve got to challenge that,” he said. 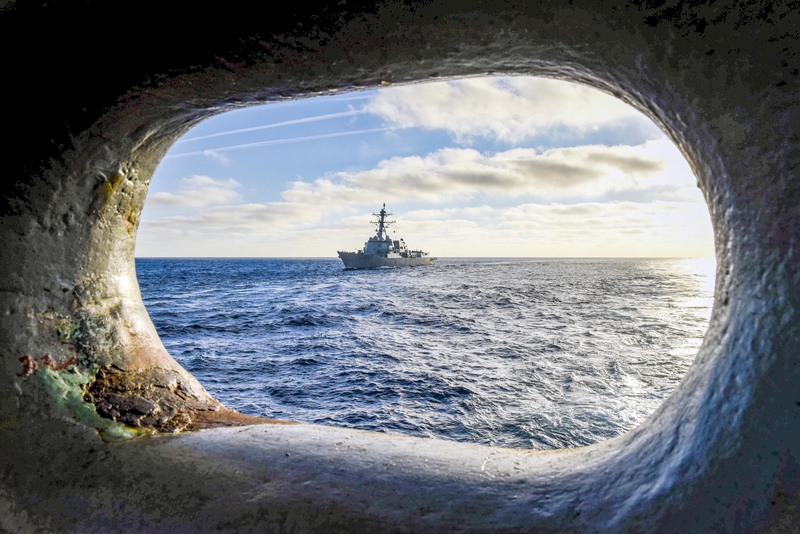 “Today, as you know, it takes us about a year and hundreds of millions of dollars to upgrade these large surface combatants, the destroyers and cruisers. And that’s all opportunity cost – while that ship’s in there in the yard, it’s not out there [on deployment]. While it’s in there, it’s also costing us a lot of money because they’re re-bending steel to get things in and out. We need to design the ship with the ability” to upgrade systems easily without having to cut into the hull of the ship to bring old equipment out and new equipment in. 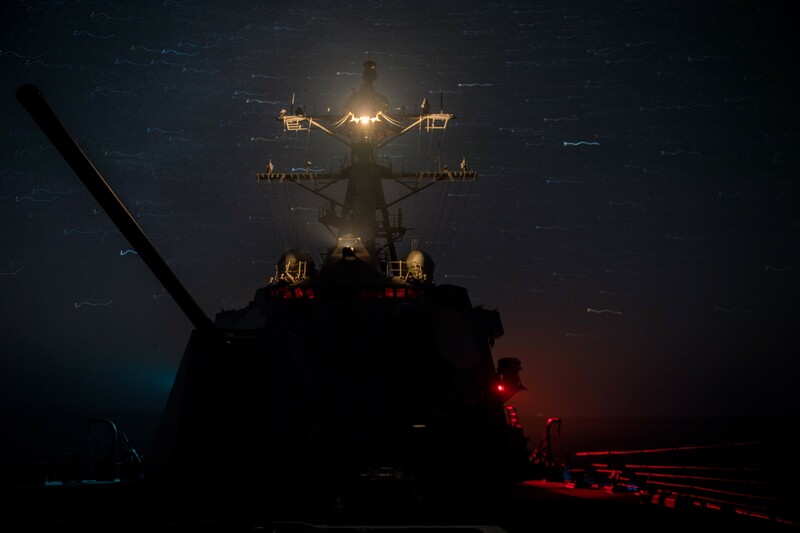 The Arleigh Burke-class guided-missile destroyer USS Forrest Sherman (DDG 98) is underway alongside the Nimitz-class aircraft carrier USS Harry S. Truman (CVN 75). US Navy photo. Boxall said any design will inherently draw on existing ship designs but will also start from scratch in many ways – even an Arleigh Burke with an extended hull length wouldn’t have the margins for future radars and weapons, but he admitted “the reality is, we know we have to design something, and it’s not far from what we know today.” Still, he said he didn’t want to dwell on what the ship would look like yet. As the Navy engages industry this week at the Surface Navy Association’s (SNA) annual national symposium, Boxall said there are some big-picture topics to tackle first. “We’re not locking anything down [in terms of design], but we think we have a better idea of what we’re looking for. And what’s exciting now is we’re going to go to industry like we did with frigate and say, okay, this is what we’re thinking; what are you thinking about our next surface combatant, and what are your concerns, what are your innovative thoughts, and let’s start talking about how to do that,” he said. “These concepts of, what kind of power plants do we have out there? How would you put flexibility into the ship? Those very general concepts – we want industry’s feedback on to say, this is what we’re thinking, how would you do that? We have assumptions that we’ve made in our preliminary requirements teamwork, but we don’t know if it’s right,” Boxall added, referring to the Future Surface Combatant Requirements Evaluation Team (RET). Discussions with the Future Surface Combatant RET included identifying areas such as cyber and long-range weapons that couldn’t be defined and engineered in now, but that the ship would have to be designed to grow into as technology evolves in the future. Boxall has repeatedly talked about the Frigate RET and the positive results it yielded both on the quality of the requirements and the shortened timeline to draft them. He described the RET process as controlled chaos during the first few months of the program, with the FSC RET mirroring what happened with the frigate program. The Navy has some money in the current FY 2019 budget for industry studies, but not as much as Boxall wanted. He said his office is looking at trying to get more money through reprogramming requests, but if that fails he said they’d do the most work they can with the money they have. Boxall couldn’t comment directly on the FY 2020 budget, which was expected to be released the first week of February but will likely be delayed due to the ongoing partial government shutdown. But generally, he said, “I expect that we’re going to get more aggressive with what work we need to have done, which is a series of, we’ve got to start looking at pre-conceptual work, we’ve got to start looking at technical maturity, and we also have to look at what industry has out there. So the near-term is industry (engagement), and we’ll continue to evolve in ‘19 and ‘20 and ‘21” until the Navy has a clearer idea of what the art of the possible is and can start making specific decisions on how big the ship will be, which systems it will include as government-furnished equipment and more. Boxall said CNO Richardson challenged him with a 2023 timeline to award the first large surface combatant contract, but “the CNO has also challenged us to do it the right way. So what we’re going to do is, we’re going to do it as quickly as we can. We’re shooting for ‘23 as a goal. ‘23, ‘24, who knows,” he said. 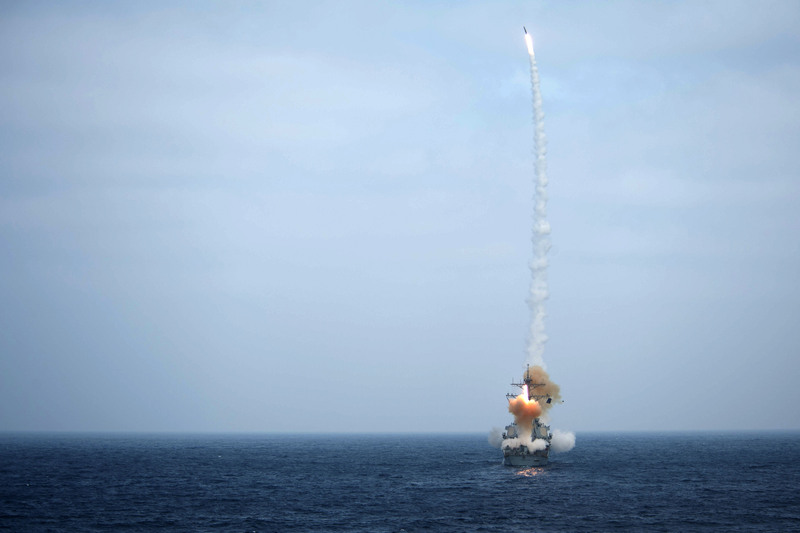 Boxall also acknowledged budget constraints, both to the Pentagon budget as a whole but also within the Navy, as the service kicks of its $100-billion Columbia-class ballistic missile submarine program just two years before the large surface combatant would start. “We need to grow these ships, so there’s a good likelihood they’re going to be bigger than what we have today. And if they’re bigger than what we have today, it implies they’re going to be more expensive. And the question is, how much more [expensive]?” Boxall said. The guided-missile frigate will be the first program to leverage the common combat system and common radar that Boxall thinks will keep operational costs down and therefore allow more decision space on acquisition costs. The Navy currently has five companies working on conceptual designs for the frigate program. 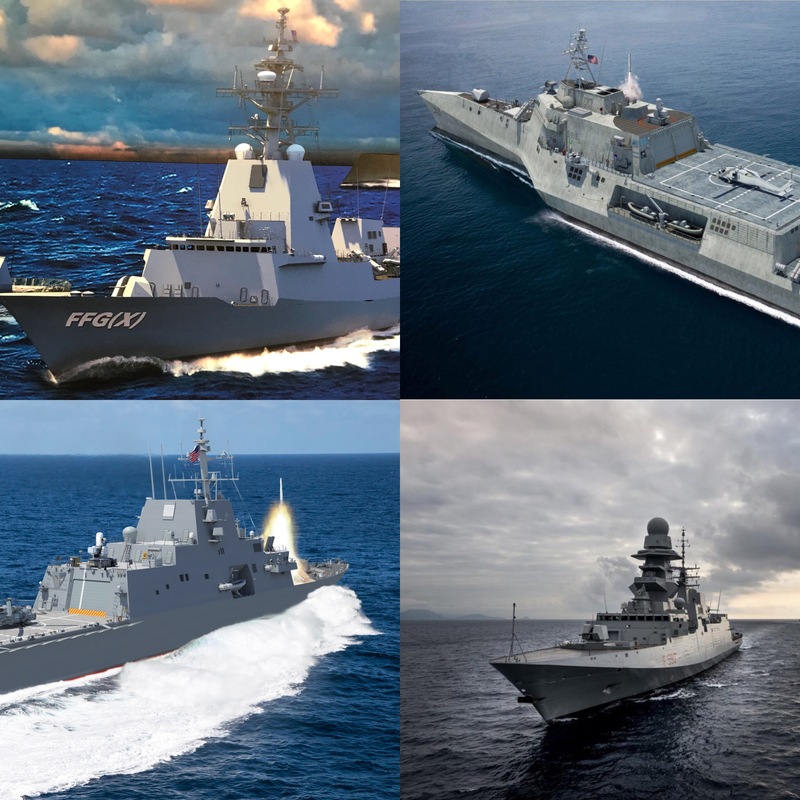 All five are expected to bid on the request for proposals for detail design and construction, which is expected out this year, and the Navy will select a single frigate builder in FY 2020. Whoever wins the competition, though, Boxall said the Navy will end up with a highly capable ship. The Frigate RET’s conversations with industry began in 2017. Boxall said the companies were very clear about what requirements were driving up cost, and the two sides were able to work together to reduce cost where possible and increase capability where possible. “Now we’re at a point when we start competing, where we’ll say, okay, we know what we want, but if we can get a little more – if it’s marginal cost on the front end and it gives me a really good improvement in capability, I am open to that,” he said. “What we have already with the frigate, I’m incredibly confident; industry has been amazing at their ability to let us know what’s driving their costs, and I think we’ve been pretty good at easing some of those things where we can get a good balance of cost. This is all about bang for buck,” he continued. He noted that the acquisition documents outline threshold capabilities and objective capabilities; a frigate that meets the threshold requirements will be a solid asset for the fleet to use, but a frigate that can buy objective requirements for a reasonable cost could start altering the balance of small versus large combatants the Navy wants to buy. The Navy currently has a requirement for 104 large combatants and 52 small combatants. While the Navy today isn’t ready to pinpoint exactly how the balance of large/small/unmanned surface combatant requirements would change, Boxall repeatedly noted that relying more on a highly capable frigate or small combatant would be a better use of the Navy’s funds, allowing more ships to go more places and reserving the large combatants to focus on things that only they can do: haul the largest of radars into theater, launch the largest of missiles, and so on. Boxall and his team will also start talking to industry this week about the unmanned piece of the Future Surface Combatant family of systems. The Navy now is interested in a medium and a large unmanned surface vehicle, which will add more sensors and payloads on the water for the fleet to leverage. 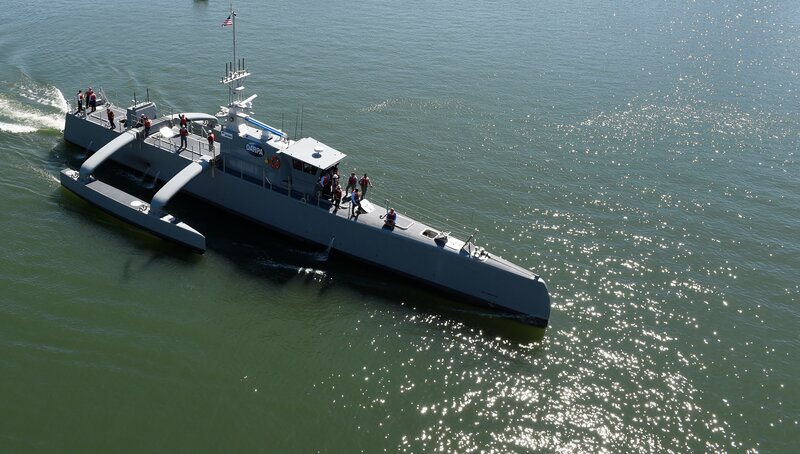 Boxall said he is excited about the Medium Displacement Unmanned Surface Vehicle (MDUSV), also called SeaHunter, which is an Office of Naval Research asset located in San Diego. “We now see that we’ve got a platform we can start being innovative with. Let’s try different payloads on there, and let’s go get that thing out there,” Boxall said. Boxall said the Navy would be more interested in innovating at this level – it is cheaper to try something new and fail at the unmanned combatant level rather than the large surface combatant level – and he’s excited to hear what industry has to say about this piece of the future surface fleet.